Today we have another brick built creature. I am going to make the call, and declare it a cat …or a brushtail possum. But I don’t think it really matters. If there is one thing that the Christmas buildup 40222 has reminded me, it is that there is a need to use your imagination when building with bricks. Lego city and minifigure scale is all very well when you have your creatures, pets and animals predefined with an independent mold, but to put things together from scratch, and to interpret what others have built takes a little imagination. 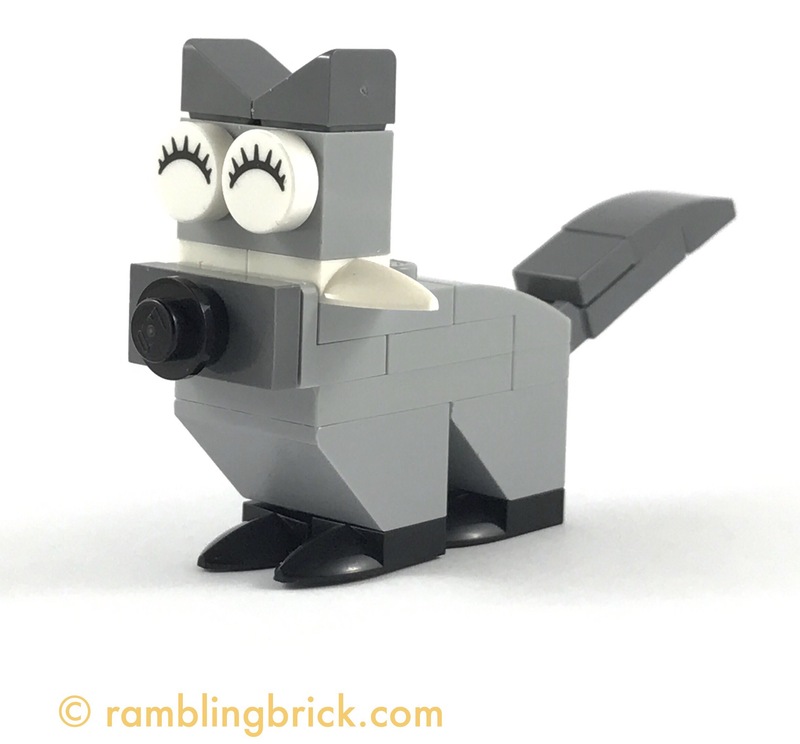 Through the creatures that we have brick built with this set, we have seen a number of different techniques for building animal faces, years, posture, legs and tails. I love the way that the eyes position here makes you think the cat(possum?) has a great big grin on its face!